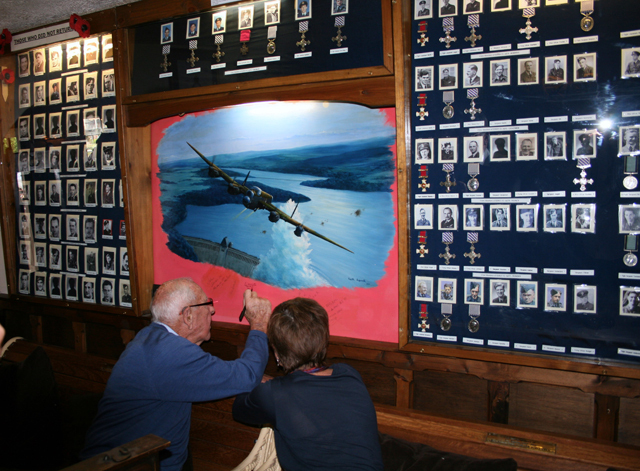 A grand display of pictures of all the 133 aircrew from the Dams Raid can now be seen in the comfort of the Dambusters Inn in Scampton village, a few miles from the airfield which was the base for the raid itself. It represents a lot of hard work by Heather Allsworth and Nigel Favill, who live locally. It is arranged in three sections, as can be seen in the photograph above taken during a visit by Les Munro. On the left are the crews who did not return, including the three men taken POW. In the middle above a painting by Keith Aspinall is Guy Gibson and his crew. On the right hand side are the crews who returned, together with the medals they were awarded for the raid. Heather and Nigel should be congratulated for putting together this now complete collection. It’s open for all to see during pub licensing hours. A pint for me, and a glass of white wine for the lady. Great news from the BBC. 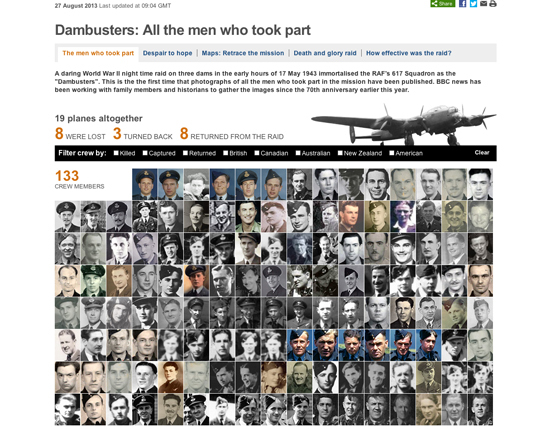 Photographs of all 133 aircrew who took part in the Dams Raid have now been obtained for the News Online pictureboard which was launched on the 70th anniversary last May. A big hat-tip to the BBC’s Greig Watson and his team, who took on the work. Several pictures were added in the first flush of publicity after the anniversary, but the last five subjects were surprisingly elusive. 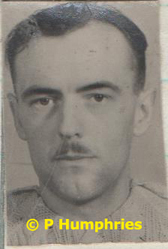 Then your humble scribe had a bright idea, and tracked down the identity card pictures of all of them in the unpublished papers of the late Harry Humphries, 617 Squadron’s first adjutant. Thanks are due to his son, Peter Humphries, for making them available both to this blog and the BBC. Many thanks also to all the families, individual researchers, libraries and archives who have provided photographs. A full list is on the BBC website. There is more information on how the pictures were tracked down in this article from BBC Lincolnshire. Henry Maudslay was born in Leamington Spa on 21 July 1921. His family came from an industrialist background, and his father founded the Standard Motor Company. 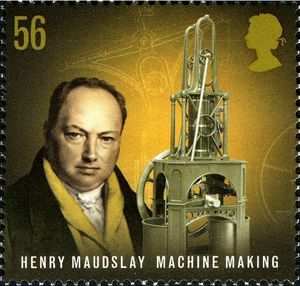 His great-great-great grandfather, also Henry Maudslay, was an important 19th century inventor, and appeared on a British postage stamp in 2009. While still at Eton College, where he excelled at both rowing and athletics, he volunteered for the RAF, and was called up in July 1940. After training as a pilot in Canada he returned to England in February 1941. His first operational posting was with 44 Squadron at RAF Waddington, flying Hampdens. There he flew on 29 operations, and won the DFC for a single handed attack on two enemy cargo vessels. In December 1941 he was attached with other members of 44 Squadron to Boscombe Down to carry out service trials and work with the new Avro Lancaster. He carried on in various training roles until he returned to operations with 50 Squadron at Skellingthorpe in December 1942, flying Lancasters. 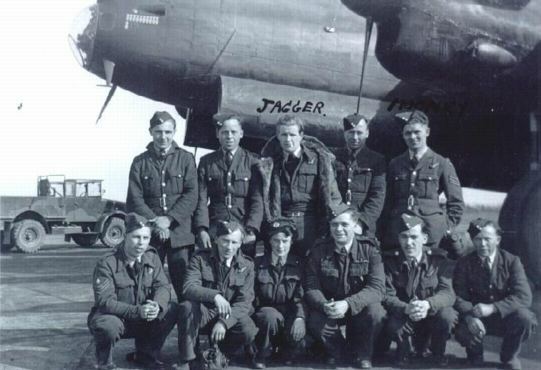 All six of the crew he eventually brought with him to 617 Squadron flew with him at some time in the 13 operations he undertook over the next three months, although they only appear to have all flown together as a complete crew once, on 3 March 1943 on an operation to Hamburg. Maudslay was promoted to Squadron Leader and became B Flight Commander of the new 617 Squadron. 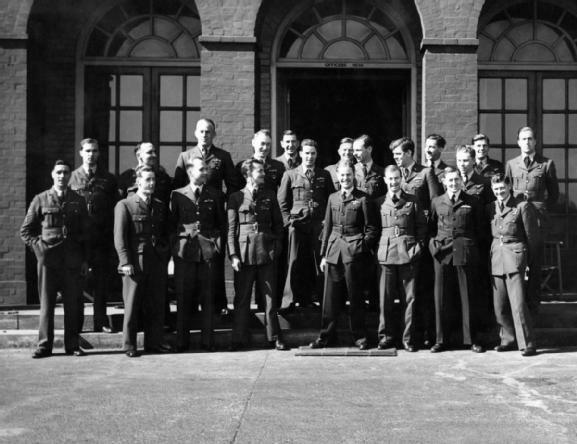 As Guy Gibson was often absent on important meetings, a lot of the organisation of training fell to him and Melvin Young, the other Flight Commander. Shortly before the Dams Raid Henry Maudslay, together with Norman Barlow, witnessed Bill Astell’s will. All three would be lost on the raid. Maudslay had led Bill Astell and Les Knight in formation to the Möhne Dam, but Astell’s aircraft crashed into high tension wires en route. This meant that after the successful attack on the Möhne, there were only three Upkeep mines left to attack the Eder – a target which was even more difficult to approach. Shannon was first to attack and made three or four attempts but couldn’t get the correct height and speed, after a dive and tight turn. Maudslay then tried twice with similar problems. During these runs he may have damaged the bomb release mechanism on trees. Shannon made two more dummy runs, then dropped his mine, which exploded with an upsurge of water. However, the dam wasn’t breached so Maudslay made a third attempt on the target at 0145 but his Upkeep was dropped too late and exploded on hitting the parapet of the dam without bouncing. This may have damaged his aircraft. Gibson asked if he was OK, and Maudslay’s faint reply was ‘I think so, stand by’. Meanwhile, Les Knight finally made a successful run and blew a large hole in the dam wall. 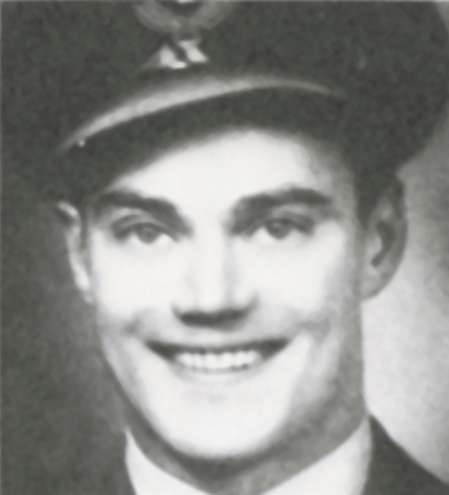 Maudslay nursed his damaged aircraft slowly back towards the Dutch border, but his luck ran out near Emmerich at 0243, when he was shot down. 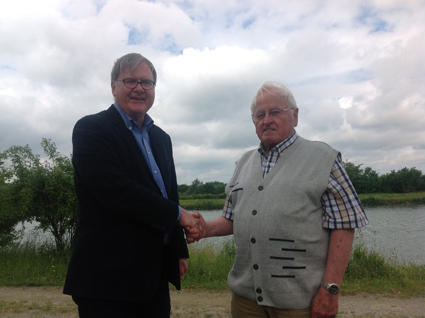 One of the flak gunners was Johannes Doerwald, seen below meeting this blog’s author in June 2013. Henry Maudslay and all his crew died. They were first buried in Dusseldorf, but after the war, they were reinterred in Reichswald War Cemetery. Brian Jagger, David Shannon’s front gunner, came from an artistic family. His father, David Jagger, was a well known portrait painter and his uncle, Charles Sargeant Jagger, was a sculptor and artist, and was responsible for many memorials to the dead of the First World War. His aunt, Edith Jagger, was also an artist. Jagger was born in Chelsea on 9 November 1921 and joined the RAF in 1941. He qualified as an air gunner in the summer of 1942, and was posted to 50 Squadron. Most of his operations were flown in a crew piloted by Sgt Norman Schofield, a Canadian, in a crew which also included two other Canadians who would fly on the Dams Raid, John Fraser and Ken Earnshaw. It may have been one of these who recommended Jagger to David Shannon when he was putting together his crew for 617 Squadron. After the Dams Raid, Jagger flew on several other operations with the Shannon crew, and was commissioned in October 1943. He was transferred to a training unit in the spring of 1944, and was killed in a flying accident on 30 April 1944, in a Lancaster of 49 Squadron. On a Fighter Affiliation Exercise, a dinghy became released and wrapped itself around the tailplane causing the aircraft to crash. 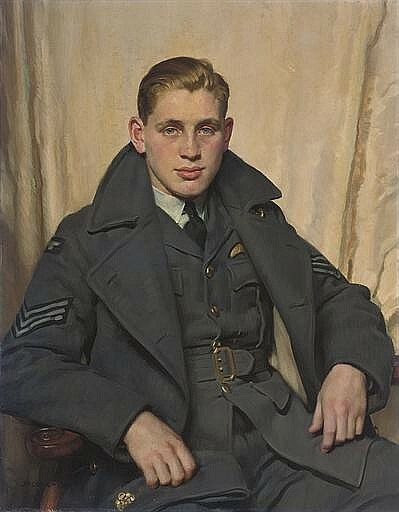 One of his father’s best known paintings is known as ‘Portrait of an officer of the RAF during World War II’, painted in 1941, which was held in the Arthur Ackermann and Peter Johnson Collection. It came up for auction at Christies in 2008, but was unsold. Although the title says the subject is an officer, he is quite clearly wearing sergeant’s stripes. 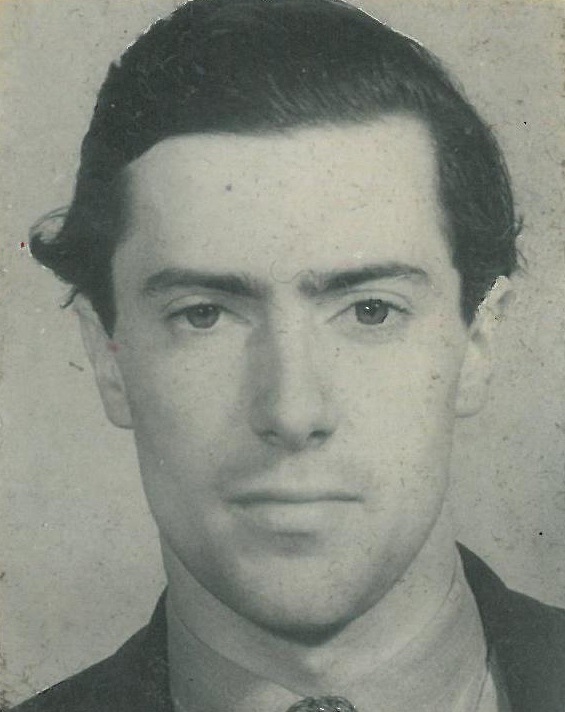 The subject is not identified, but he bears a striking resemblance to Brian Jagger, and could well be of him. Brian Jagger is buried in Cambridge City Cemetery.